02.12. 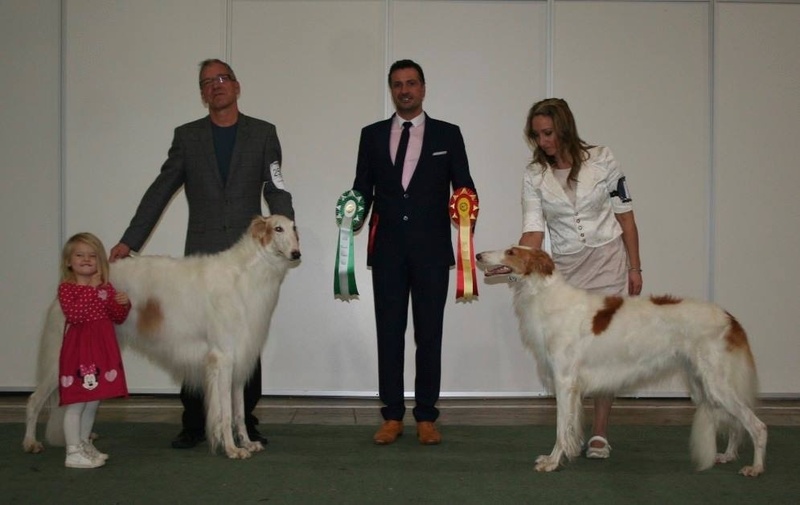 Mostwinning Borzois at the NKC shows in 2013. Judge: Mark Cocozza, GB. Both dogs are owned by Kazar Knls. 10.11. Ch Kazar Ural went BEST IN SHOW today at an all breed CAC show in Orkanger, Norway. 15.09. Ch Kazar ural went Best of Breed at The Norwegian Kennel Club CACIB Show in Stavanger under judge Saija Juutilainen, Finland. 08.09. 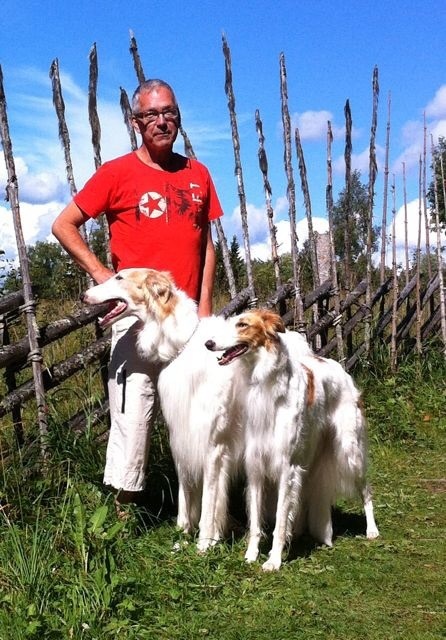 At The Leonberger Club CAC Show in Drammen (N) Ch Kazar Umba went Best of Breed under judge Nemanja Jovanovic. 09.09. 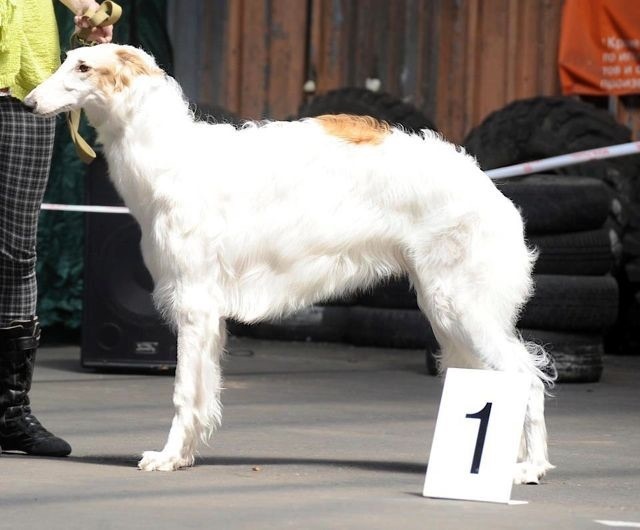 Ch Kazar Ural had another great day in the rings yesterday! 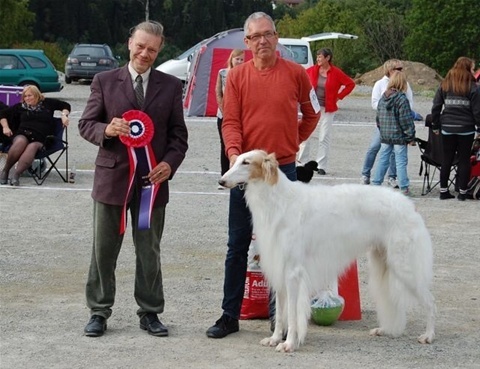 He entered the all breed CAC show In Steinkjer (N), and went again all the way to BEST IN SHOW ! A big thank you to the judges Moa Person(S) and Harto Stockmari (SF) for making our day! 31.08. 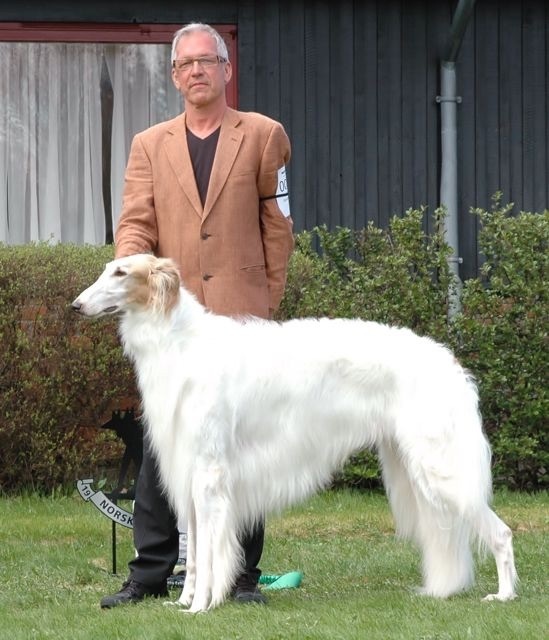 N ch Kazar Ural won Best in show under judge Johan Juslin, Finland! 24.08. Oslo (N). At the NKK international show, Nordic ch Kazar Usalka went BOB with CACIB and BOG-3. 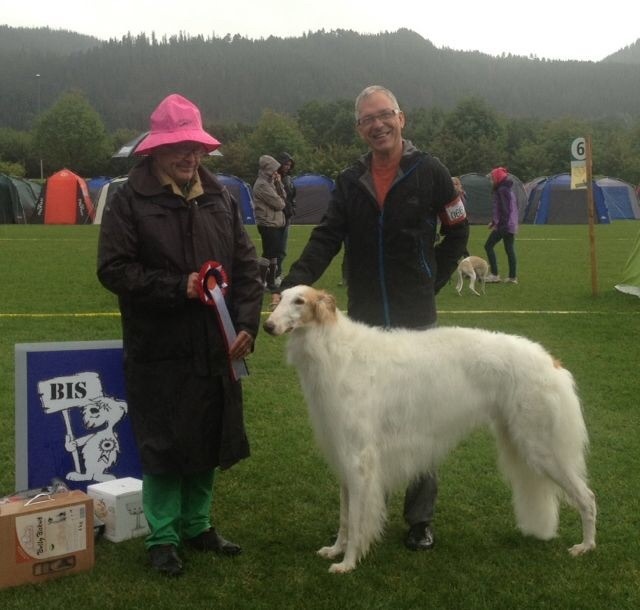 She also became an INTERNATIONAL CHAMPION! 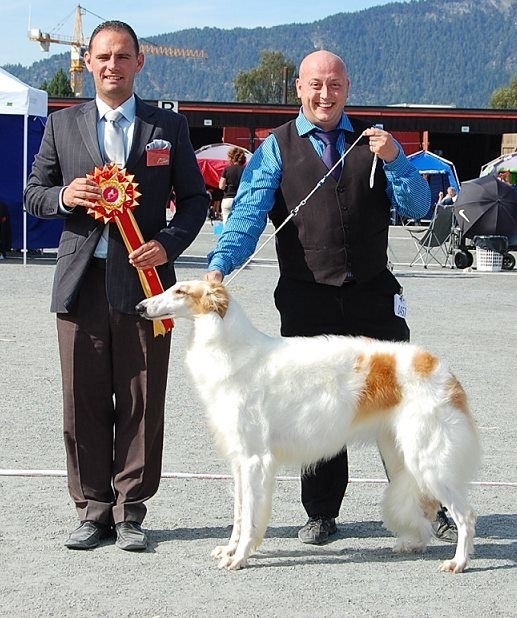 N,S ch Kazar Usalka went BOS with CAC and CACIB under judge Gert Christensen. She then became a Danish champion! 04.08. 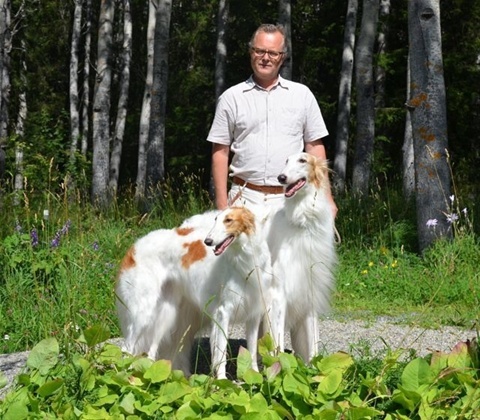 Ch Kazar Usalka and Ural both gained their Swedish Championships and CACIB at the International Dog Show in Svenstavik. Usalka also went BOS. Judge: Diane Anderson, U.S.
27.06. 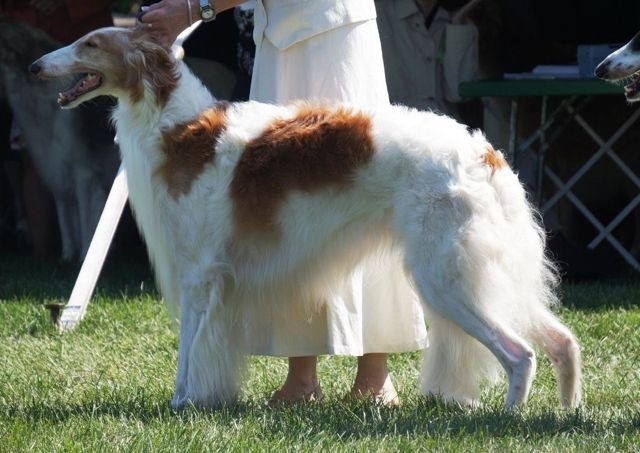 Last weekend, Ch Kazar Rubine finished her U.S.GRAND CHAMPIONSHIP! 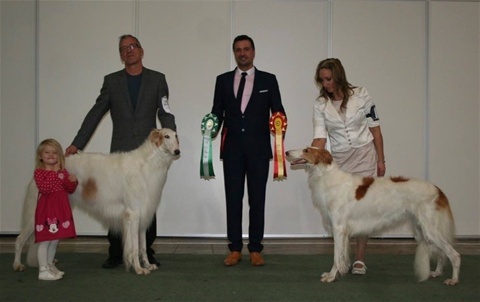 Huge congratulations to her owner Melanie Richards, Knl Lythe, U.S.
18.05. 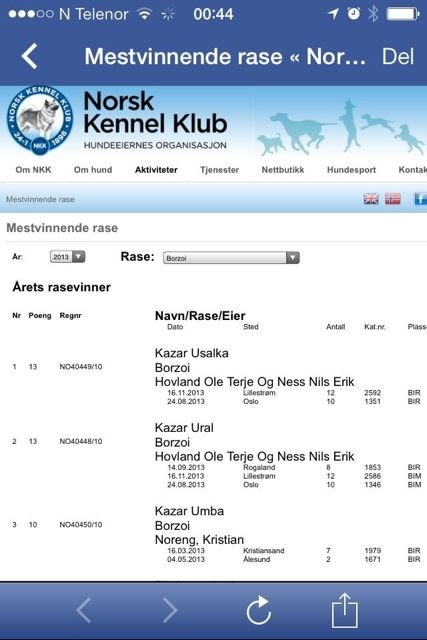 Ch Kazar Umba BOB at the Norwegian Boxer Club all breed show under judge Saija Juutilainen. 03.05. 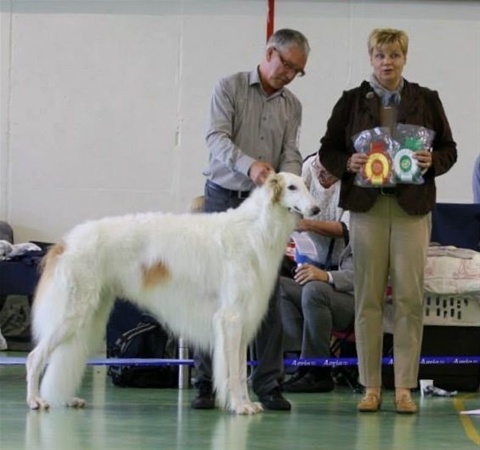 At a show in Khabarovsk, Russia, Vronsky went BOB junior in big competition! 18.03. 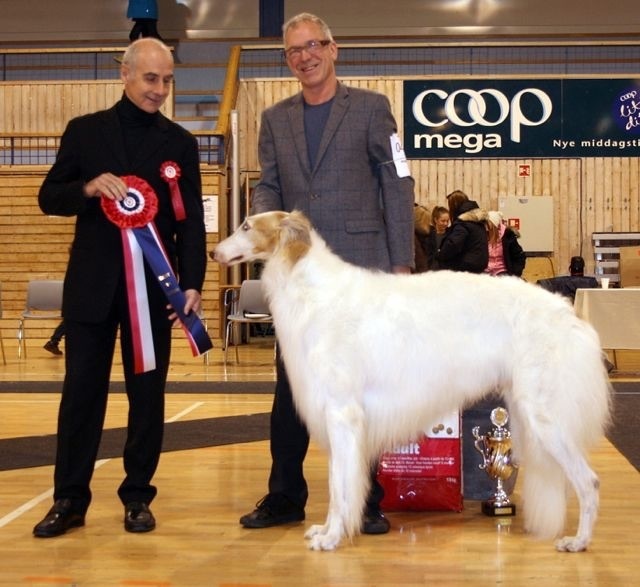 Ch Kazar Umba BOB at the Norwegian Boxer Club all breed show under judge Saija Juutilainen. Owner: Kristian Noreng. 09.03. Vladik went BOB and BOG under judge Johnny Mathiesen (N) at Drammen Dog Festival (N), all breed puppy show. Owner: Kazar knls.